​Manchester City manager Pep Guardiola has insisted that every player in the squad will be needed if the team are to compete for multiple trophies. 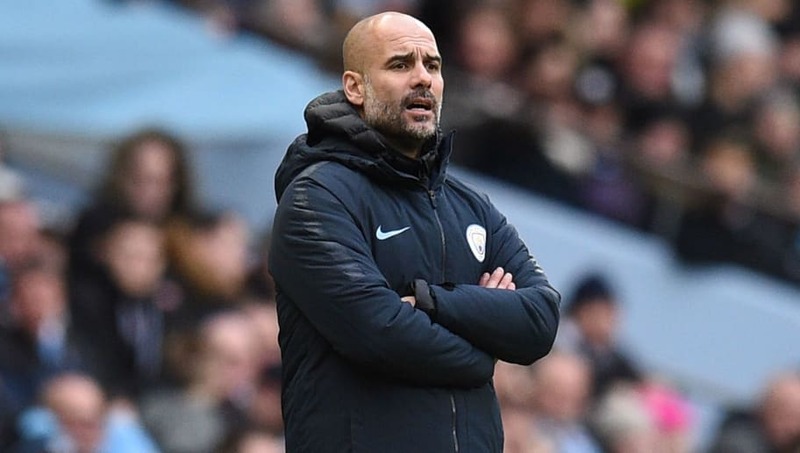 After City secured their progression into the fifth round of the FA Cup with a 5-0 victory over Burnley on Saturday, Guardiola's side remain in contention for four different trophies. They will meet Chelsea in the final of the Carabao Cup, whilst they are also amongst the favourites to win both the Premier League and the Champions League. Speaking at a news conference following the victory, Guardiola insisted that each member of the squad will be vital going forward. He is quoted by ​ESPN as saying: "Winning eight games in a row, this month has been good. "I could say it's because we played against lower league sides but even in that position you have to score goals, it's never easy. "I'm most delighted that everybody has been involved this month and together we can achieve, to arrive in the last stages of the FA Cup and against ​Schalke [in the Champions League] and fight until the end in the ​Premier League and Carabao Cup and we need everybody. "It's the only way I understand to fight for competitions is having everybody involved." Centre-back Eliaqium Mangala is the only senior member of the squad who has not featured for City this season, with Guardiola even handing first-team opportunities to several exciting youth prospects. The Carabao Cup semi-final gave Guardiola an excellent chance to test the younger members of the squad. After securing an emphatic 9-0 victory over Burton Albion in the first leg, Guardiola opted to field a rotated side in the second leg which featured several young prospects. The likes of Arijanet Muric, Eric Garcia and Ian Poveda started the second match, whilst Felix Nmecha, Taylor Richards and Luke Bolton were also given a place on the bench for the fixture.